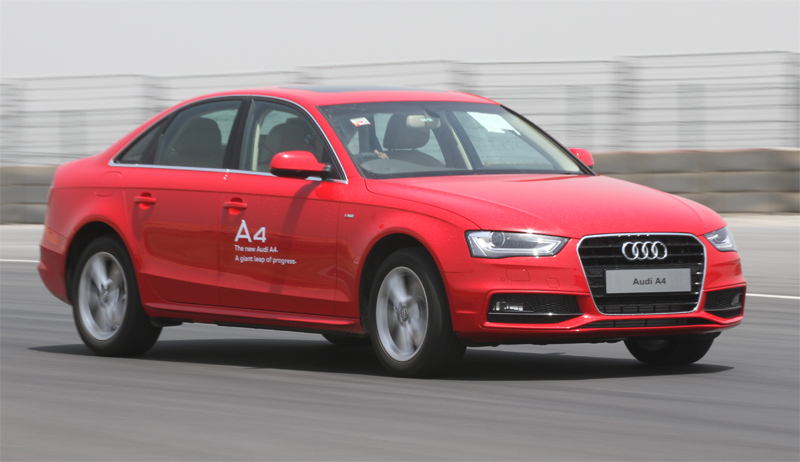 Audi, the German luxury car manufacturer, continues to perform successfully in India as it marked up a sale of 450 cars in May 2012 – a growth of 10 percent over the same period last year (May 2011: 408 cars). The brand with four rings grew by 37 percent during January to May of 2012, delivering 3281 vehicles as compared to 2394 vehicles delivered during the same period last year. “In 2012, we will continue our strategic course of product expansion and launch attractive vehicles in the market for sustainable and profitable growth. Thanks to our bestsellers new Audi A4, Audi A6, Audi Q5 and Audi Q7 SUVs, and ever growing dealer network, we moved into the number-two position among premium car makers in the first quarter. I am confident that the debut of Audi Q3 this year will not only ensure that Audi maintains its position as the fastest growing luxury car brand in India but also boost our sales. As we inch closer to the pole position, we will continually enhance and diversify our product portfolio offering our brand promise “Vorsprung durch Technik” and further expand our dealership network”, said Mr. Michael Perschke, Head, Audi India. “The overall market scenario is challenging. The rising fuel prices, depreciating rupee, changing registration taxes in various states as well as reduction in retail loans have severely impacted the automobile industry but in spite of these challenges we are confident about our growth in India. With a slew of new product launches – Audi TT in March, new Audi A4 in May and Audi Q3 in June, we are still maintaining our forecast and will achieve our sales target of 8000 cars for 2012.” added Mr. Perschke. The brand with the four rings continues to be the market leader in the luxury SUV segment in India with Audi Q5 and Audi Q7 and in the sports car segment with Audi R8, Audi RS5 and the new Audi TT Coupè. The launch of the Audi Q3 will further consolidate Audi’s dominance in the SUV segment in India.